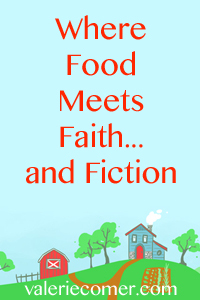 92-minute mp3 podcast: Where Food Meets Faith with special guests Dr. Ruth Valerio, Melissa K. Norris, Kathi Macias, and 6 others. Right click the link and “save link as” to download. Add it to your iPod or listen from your computer.